Outside every public school in Paris the French flag flies above the door and the lintel is engraved with the nation’s motto, “Liberté, Égalité, Fraternité.” The government of France is so committed to the idea of equality in its public school system that the socialist president François Hollande caused a stir in 2012 by proposing that the nation do away with homework, which favors the wealthy and middle-class over poor families. At least France is committed to the principle of égalité in theory. My personal experience of the system tells a somewhat different story. For months before our arrival in Paris, in August 2013, I worried about signing up the kids for school. This is not the first time I’ve moved the kids and have had to register them in a new country’s school system, but this is the first time that I have been unable to set the gears in motion before my arrival. A friend of mine, who is a seasoned veteran of spending years abroad in Paris with her children, told me that I should not even attempt to register the kids before our arrival, it would be impossible. It turned out that registering the kids after our arrival wasn’t that easy either. Ever the eager American, I wanted to head straight to the school authorities when we arrived in early August, but they were closed – like many places in Paris – until the end of the month. Days before the rentrée (as Parisians call the beginning of the school year), we were finally able to make all the necessary visits to all the necessary offices and we had both kids registered for school and their lunches arranged. If there was one thing that didn’t stress me out about the whole prospect of sending the kids to school in France it was the lunches. After all, I had read in The New York Times about the superiority of French school lunches, and I always believe everything I read in the Times. (The article’s author, Karen Le Billon, who has a book titled French Kids Eat Everything, discusses French school meals at greater length here.) In France, I read, children were served delicious meals cooked from scratch each morning, including meats, vegetables, fruits, and bread, and always ending with cheese. 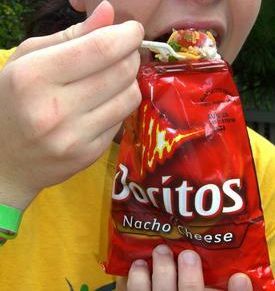 Photo of kid eating taco-in-a-bag, snagged from Frito Lay Snack Chat blog. When we moved to Canada, our new city had no school lunch program so again we packed for the kids each day. But despite our shared love of cooking, my husband and I have never been the type of parents who get a crafty thrill from packing perfect lunches. 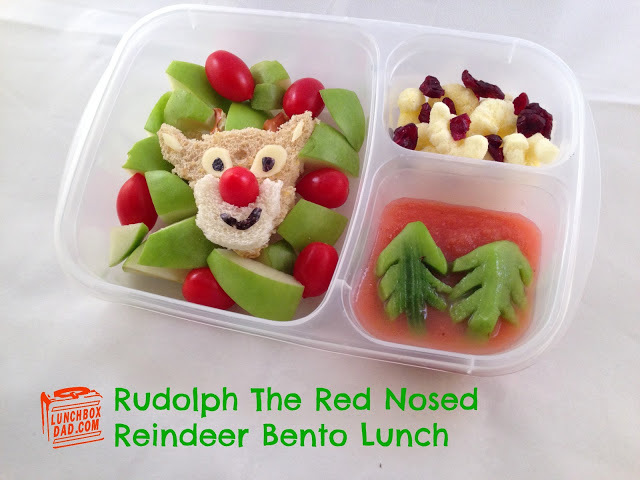 We are not a family who collect cute Japanese tupperware and pack their kids creative bento boxes each day. I love that scene from Bread and Jam for Frances when, after finally getting tired of bread and jam for lunch, Frances brings to school a “thermos bottle with cream of tomato soup, and a lobster-salad sandwich on thin slices of white bread … celery, carrot sticks, and black olives, and a little cardboard shaker of salt for the celery. And two plums and a tiny basket of cherries. And vanilla pudding with chocolate sprinkles and a spoon to eat it with.” I love the picture, but I don’t have the creativity or energy to pack the kids lobster-salad, soup, three sides, and two fruits at seven thirty a.m.
No, we are the sort of parents who put a sandwich in a ziplock, throw a couple of carrots in a tupperware, toss in a tangerine and a cookie or two, then cross our fingers that the kids eat something. It’s boring for them, it’s boring for us, but at least it’s not likely to give them diabetes. And physical safety should always be a parent’s primary concern for her child. That’s why the pit of my stomach dropped when I received a letter from the Paris school authorities informing us of my son’s school placement. Before we rented our apartment I had looked into the quality of the neighboring schools and, judging by the reports of previous tenants as well as test scores, they seemed fine. We were happy when our daughter, Maya, was placed in an elementary school around the corner, but two days before the rentrée we received a letter in the mail informing us that Eli, our son, had been placed in a collège (middle school) 2 kilometres away. 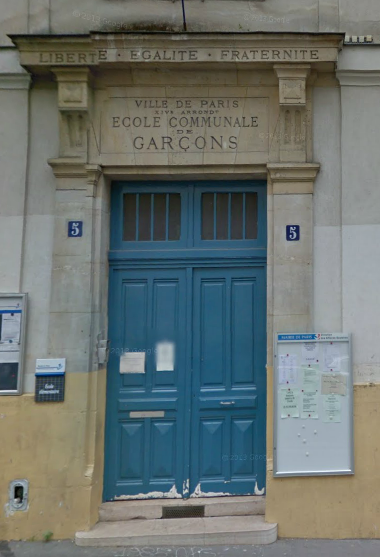 As it turned out, neither of the two collèges around the corner from us had the specialized classe d’acceuil (welcome class) that children who are newcomers to France must attend if they enter the system at the middle school level. I wasn’t worried about the school’s distance from our apartment. Eli could take public transportation (the tram that runs along the périphérique) to get there; I took a forty-five minute subway trip to school by myself each morning by the time I was his age, and I trusted him to do the same. What I worried about was the school’s reputation for being dangerous, for being, in fact, the most dangerous school in our economically mixed arrondissement with notoriously crappy schools. I didn’t get much sleep the evening his letter arrived. The next day, bright and early, I dragged Elli to the rectorat, which is the main administrative office that handles collège and lycée (high school) placements. I had planned out all the arguments I was going to use to persuade the rectorat to change his enrolment to one of the bourgeois schools that the privileged children of highly-educated white visitors typically attend. After waiting three hours, I tried my arguments on the first functionary. I tried them on the second functionary. Then we crossed town and I tried them on the principle at Eli’s assigned school. She even agreed to call the principle of the bourgeois school where I was hoping Eli could transfer. But there the buck-passing slammed into the stone wall of égalité. The other principle said non, the rectorat said non, France said non. My privileged social class would not allow my son to get around the system, he would be treated like any other child. Except, I discovered once school started, the principle of égalité seemed to end at the school door. As it turned out, Eli’s school wasn’t dangerous at all. Perhaps it was even less dangerous than the bourgeois alternative (I heard from a Canadian mother whose children attend the supposedly excellent schools in Paris’s 7th arrondissement, where I wanted to send Eli, that her son got punched in the face on his first day). Eli’s school wasn’t dangerous, it was just deprived. The wonderful teacher assigned to oversee his classe d’acceuil, comprised of 19 children from 18 different countries, unfortunately was absent as much as she was present. And in France there are no remplacements (substitutes) at the collège or lycée levels. At least, supposedly, until the teacher misses 15 days of school. But Eli’s teacher passed the 15-absences mark weeks ago and no sign of a remplacement has yet been seen. The other kids, it turned out, were nice. Eli got along with them fine, despite the language gaps. They came from all over the world. They had moved to Paris from Senegal, Côte d’Ivoire, Mali, Comoros, Egypt, Morocco, Jordan, Syria, China, Taiwan, Bangladesh, the Philippines, Haiti, the Dominican Republic, Portugal, and Italy. They ranged in age from 11 to 16. Some of the kids were still learning the mechanics of writing letters and numbers. Others spoke solid French or were good at math (the Syrian girl was a math wiz). They were a very diverse bunch, but what they all shared in common was a state of profound neglect by the system. Instead of being intensively tutored and brought up to speed so they could integrate into the school’s mainstream (classe ordinaire) and secure their futures in French society, they were left to languish alone for hour after hour, day after day, in the courtyard or permanence (study hall). To accurately represent how awful this neglect is, I must explain the rigidity of the French educational system. The path of achievement is narrow and contains far more exit ramps than entry points. Years of testing from collège through université operate to weed students out. So if you cannot pass the brevet exam given at the end of 3ème (9th grade equivalent) you will be directed towards a technical education rather than an academic lycée. For Eli, who will be going back to North America in July, the teacher’s absence represents only a loss in the moment. For his classmates who hope to stay in France, her absence means possibly missing the opportunity to go to lycée, to earn the baccalaureate that will gain them admittance to university, and to enter professions that require university and post-university training. Presumably, the privileged children attending public schools with 97% passage rates on the brevets do not face the same problem of spending months without instruction as the kids in Eli’s school, who have a 60% pass rate. (Those rates change from year to year, but I am citing real figures here). But, on the bright side, the kids at Eli’s school are fed really well. For if égalité of education seems to fall short for the underprivileged immigrant children in Eli’s school, égalité of the stomach is on full display in the cantine. As Paris parents know, the quality of public schools are in no way predictive of the quality of those schools’ cantines. 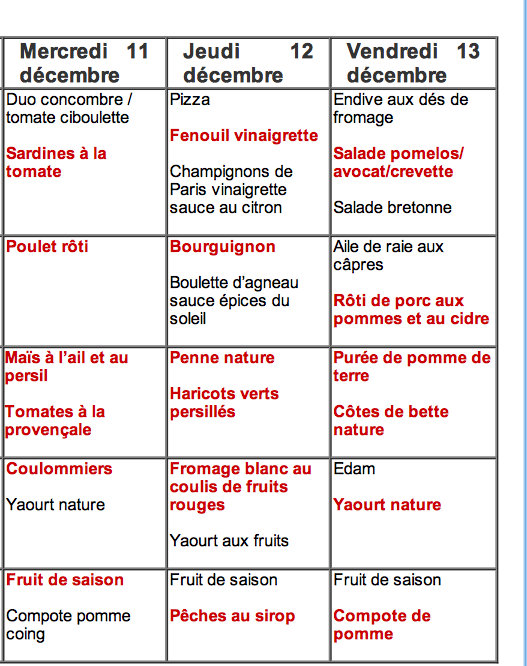 One of the best schools in our arrondissement, where the sons of a French friend go, is renowned for having the worst cantine. Your kid will pass his brevet, but he’s going to come home hungry. Eli, on the other hand, breaks up his hours of sitting around doing nothing in the courtyard with fantastic meals seemingly custom-designed to his tastes. I think his favorite may have been the lunch that commenced with a tomato-mozzarella salad, then proceeded to honey duck with frites, and ended with a piece of comté cheese (his favorite). He also loves their boeuf bourguignon, their rôti de porc, and their Thai curries. It’s actually become quite intimidating for me, knowing that by and large (although he doesn’t admit it) he probably prefers his school lunches to the meals I cook at home. Here is a sample of the menu these past three days at Eli’s school. Each meal includes all five courses listed, students can choose between options in each category. 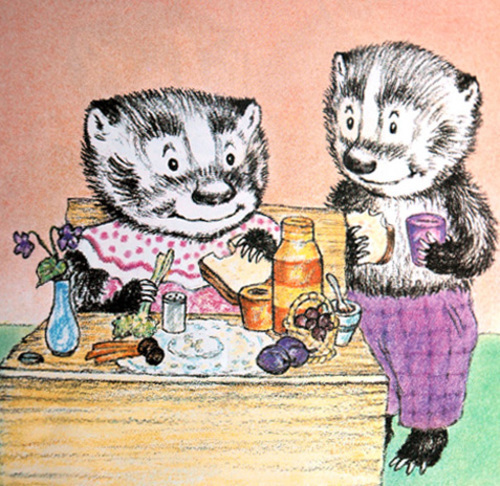 Yesterday, for example, Eli chose the lamb meatballs but then felt a little regret that he hadn’t chosen the bourguignon, which he loves so much. Today I bet he’ll start with the endive salad, move on to the roast pork with apples, choose the mashed potatoes for his side, then have a yogurt, and fruit. If you want to check out more of Eli’s menus, you can look here. Of course, menus cannot always predict the quality of what’s served. At Maya’s perfectly nice middle class school (where her teacher, although pregnant, has hardly missed a day of school), the food, if you believe her, is always wretched. More disgusting meals, in Maya’s own words, have included: ground-up fish with a weird-who-knows what vegetable mixed altogether covered in cheese-whiz with chopped up bitter carrots on top, bread, and a bitter apple as well; breaded fish where the bread crumbs were so soggy that they couldn’t count as a solid; a weird vegetable that may have been noodles and was slimy; cheesy mashed potatoes with a spicy spicy stew and a rock-solid crusted meat whose inside was very soft; wilted salad leaves with bad salad dressing on it; supposedly-pork hot dog without a skin and liquified tomatoes all on top; a good-looking fish with no taste (so I couldn’t call it gross) with sauce that looked buttery was actually lard, really really porky (and with fish, it just didn’t work); and a dessert that was supposed to be a nice vanilla cream, custard was curdled, the cream was bad, and the caramel was liquidy, and it also had weird balls in it, so it was really disgusting. The balls were not tapioca balls, they were solid and floating around in the liquid caramel. Well at least it’s not taco-in-a-bag. When we come home at the end of the school year, I am sure the children will have learned a great deal. Their French will have improved, as how can it not. Last week Eli moved from the classe d’acceuil to the classe ordinaire, although he doesn’t speak much French, I think his math smarts and general school-skills (ability to fill out worksheets quickly) persuaded his teacher on one of her brief visits to the classroom to graduate him out of the welcome class. Just as important, Eli has learned a lot about making friends from different walks of life, and about the realities of inequality, which can be more invisible in the cushy Canadian city that we call home. Maya, meanwhile, has learned how to play billes (marbles) a very popular game in her school. She has learned about the Merovingians and the Carolingians, whom she would never have learned about at home. And, from watching her classmates dig into the disgusting meals served in her school cantine, she has learned that French kids really do eat everything, and maybe one day she’ll even succumb to peer pressure and join them. this is so fascinating. can I have Eli’s life? This part: “Eli, on the other hand, breaks up his hours of sitting around doing nothing in the courtyard with fantastic meals seemingly custom-designed to his tastes.” But as for what it says about immigrant integration in Paris- yikes. I love reading those menus plastered outside the schools for all to see and envy. I had no idea the system could be so neglectful. Perhaps you need to write to the minister of education. Yes, my mother guessed what I was going to eat 100% kinda scary. Thankfully I’m in the classe ordinaire now so I don’t have to worry about sitting around doing nothing (as if I was worrying).